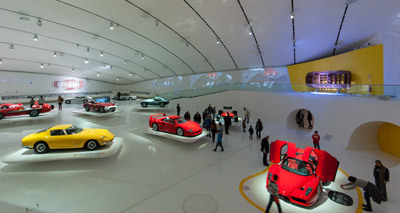 During this tour you will visit the Ferrari Museum at the galleria Ferrari: the myth keepers, have lunch in the favorite Ferrari team’s restaurant (if it is available) and visit the Leonardi family balsamic vinegar factory (or another one if not available). Guests get a glimpse into the laboratory, the cellars and taste 5 different kinds of balsamic vinegar ranging from 10 years to 50 years old. The Leonardi family produces one of the best balsamic vinegars in the world and is the official provider for the English Royal Family.